1.1 What Do Potato Bugs Look Like? 1.4 What Do Potato Bugs Eat? 3.1 Q: Do Trichogramma wasps eat potato bugs or their larvae? 3.2 Q: Are potato bugs also called pill bugs? The potato bug, also called the Colorado potato beetle (Leptinotarsa decemlineata), is a very common agricultural pest. Many have bemoaned the day that these pesky little bugs appear in their garden. But there’s ways to wipe them out! Today I’m going to tell you everything you need to know about the potato bug and how to get rid of them when they appear. Before we dive into the important information: Did you know that the common potato bug was a villain in the Cold War? The countries who had signed the Warsaw Pact were convinced that the United States had a CIA plot to destroy the crops in the Soviet Union, and that the potato bug was one of the CIA’s weapons to be used against them. While this was far from the truth, it’s a fun little sidenote of history. But let’s move on, and I’ll tell you all you need to know about potato bugs! What Do Potato Bugs Look Like? As far as bugs go, potato bugs are sort of cute. But they’re only cute until their voracious appetites kick in! These little oval bugs are cream to yellowish-orange in color with ten distinct narrow black stripes along their back. Their heads have spots that match the striping color. They do have wings, but the wings fold in against the body in much the same way a ladybug’s do, making them not readily visible. There is another beetle that looks very similar – the false potato beetle, Leptinotarsa juncta. This cousin of the potato bug is similar in coloration to the potato beetle except that it has fewer dark stripes (eight instead of ten) and has very definite orange streaking as well. 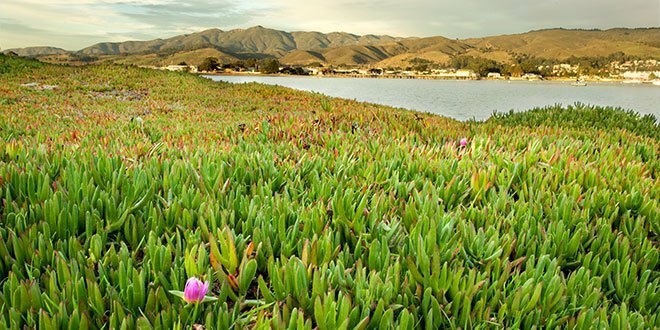 While it feeds on similar families of plants, it is not a major agricultural pest like the potato bug is as it doesn’t typically go after food crops. An adult potato bug can lay 500 or more eggs per month, with an average of 30 per day. These eggs are yellow to orange in color and are placed on the underside of leaves in clusters. It can take 4-15 days for the eggs to hatch, and they hatch when temperature conditions are most optimal. The larva produced is a reddish-brown oval shape, looks slightly hunched, and has two rows of dots along its sides. 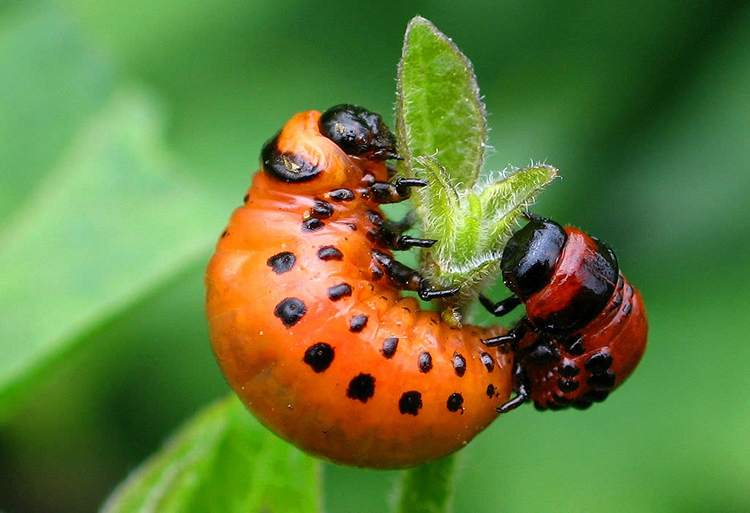 The larva will feed upon its host plant before spreading out to other plants. There are four instars, or stages of larval development. The first three instars last 2-3 days, and the final one lasts for 4-7 days. At the end of the final instar, the larva digs into the soil beneath the plants and develops a pupa, and it will reemerge as an adult potato bug in 5-10 days. If it is getting towards the colder months of the year, a larva may enter diapause while it’s in its pupa form. This condition is effectively a form of hibernation wherein the pupa remains inactive until weather conditions improve, generally in the spring, and then pupation resumes and the adult beetle emerges. Once the adult beetle emerges, it will return to its host plant of choice to mate and feed and to produce their eggs. They can fly, which means that if they do not discover a close host plant upon emerging, they can travel to find suitable food. Potato bugs are most commonly discovered around potato or sweet potato plants, as that is their preferred food, but they can be found in other garden environments. They can be widely found throughout the continental United States and Mexico, up into Canada, and across northern Europe and northern Asia. 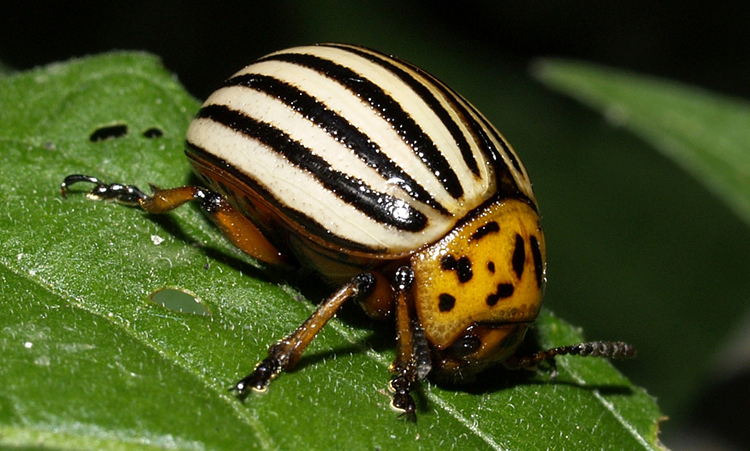 While their name indicates their favorite potato plants, the potato beetle fed on the related plant buffalo bur prior to widespread farming of potatoes in the United States, as well as on wild tomatoes and other nightshades. 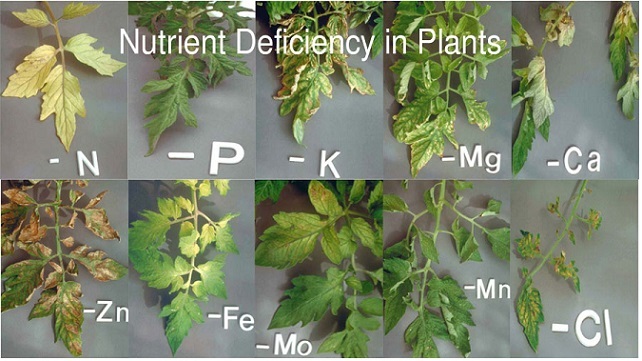 It seems to prefer the solanum species, which includes not just potatoes, but eggplants and tomatoes. Some peppers are also impacted by this pest as they’re closely related. If none of these species are available, Solanaceae family plants in general are preferred, as they have similar nutrient qualities. In some areas of the United States such as the southeast, potato bugs may compete with their cousins (the false potato beetle) for food sources until appropriate food choices are available. Like many other beetles, there are a wide variety of steps which you can take to eliminate this little garden nightmare. 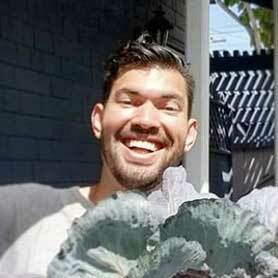 However, other than picking the beetles off the plants and dropping them into a bucket of soapy water to drown them, what methods are most effective? Let’s explore your options. One of my favorite non-toxic insect control methods is the use of Bacillus thuringiensis, also referred to as BT. This bacteria will poison the potato bugs and work as an effective organic insecticide for many other species of garden pest as well. 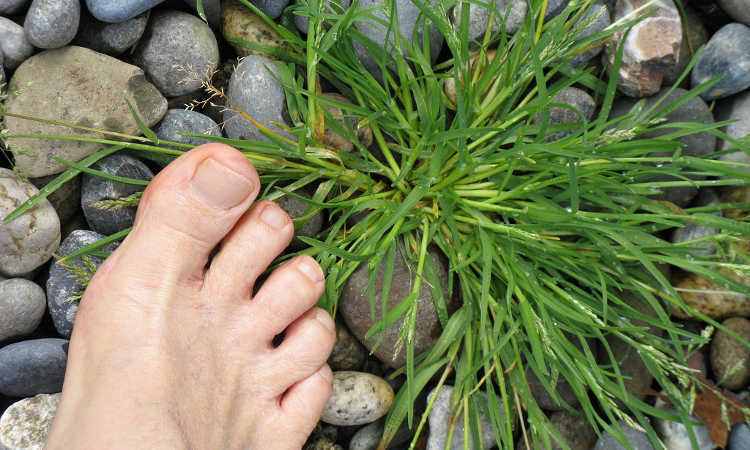 It does not harm the plants, humans, or pets, and in fact is quite a beneficial addition for most garden soils. If you’d like to try a non-liquid form of BT, you can use Garden Dust. This powdered BT variant is easy to use and works just like the liquid formulas do. Azadirachtin sprays have had good success on potato bugs in the past. One of my favorites is Azatrol EC, and it will effectively kill the potato bugs when diluted as per the directions and applied to your plants. Another great insecticide choice is the use of spinosad sprays. Monterey Garden Insect Spray is a popular formula that contains spinosad, and it will demolish the potato bug population very well. Finally, a pyrethrin-based spray such as Safer Brand Home & Garden Spray is also another good choice against most beetles as well as caterpillars. Pyrethrins have an additional benefit in that they’re commonly used in some areas by cities as part of a city-wide mosquito repellent spray, so if your city regularly sprays for mosquitos and they’re using a pyrethrin, you may see an incidental drop in potato bugs or other insects at the same time! Interestingly enough, ladybugs may be one of your first lines of defense against future generations of potato bugs! Ladybugs are known to eat potato bug eggs off of the leaves of plants. So maintaining a good population of ladybugs in and around your garden will help protect you from potato bug outbreaks, as well as from aphids and other related pests. Other beneficial insects may also be of use in your war against the potato bugs. Like ladybugs, lacewings will consume the eggs of potato bugs. While it’s hard to find spined soldier bugs in a commercial setting, spined soldier bugs will eat not just the potato bug eggs, but their larvae as well. Spined soldier bugs are also fond of other beetle eggs and larvae, such as the Mexican bean beetle and flea beetles. They also devour cabbage looper larvae and cabbage worm larvae as well, so if you have a natural population of spined soldier bugs, try to keep them around! Beneficial nematodes can also help you out, especially when you have overwintering potato bugs to contend with. These teeny, tiny little bugs will burrow into the pupa of potato bugs during the winter and feed on the larva inside. They can also help with active larvae, especially during the pupal stage. I mentioned hand-picking potato bugs very briefly, but if you have a lot of adults, you can lay down a sheet of plastic under your plants and tap or shake the foliage of the plants to knock them onto the plastic, and then dispose of them by dumping them into a bucket of soapy water. They will drown. This method is useful, but won’t take out the larvae or eggs as easily, so you should pair it with one of the other methods described. One of the most effective remedies for all sort of beetles, moths, and other garden pests is the use of Harvest-Guard floating row covers. I can’t recommend this addition to your garden often enough. While you do have to remove the floating row covers when it’s time for your plants to be pollinated, you can eliminate or reduce the bug population by using them up until then. Once you’ve taken off those row covers, you may need another option. Kaolin clay can form a natural barrier against insects and a repellent option. 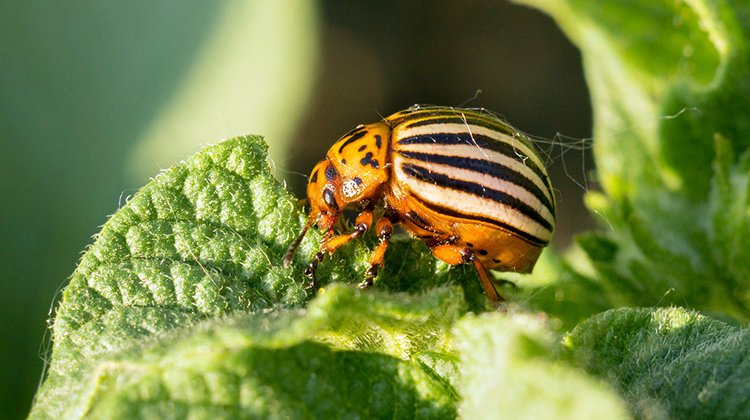 Available commercially under such names as Surround WP, a thorough coating over your plants of this material can help keep the potato bugs from munching on your leaves or laying their eggs. Another option is diatomaceous earth. Made from the finely-powdered shells of diatomaceous sea life, this nontoxic powder is harmless to humans or pets. However, to insects, it’s like walking over millions of tiny knives. The diatomaceous earth will cut the fragile bodies of potato bugs, making an effective repellent solution. You can impede the progress of overwintering potato bugs by mulching your plants 2-3″ deep with straw or hay once the plants have emerged. While this is mostly a repellent solution, it also keeps the surface of your soil moist and slows down other bug infestation, as the straw/hay will form a matted layer that keeps moisture underneath and slows crawling insects from reaching your plants. Neem oil is also a popular insecticidal spray. The oil coats the eggs of potato bugs and prevents them from hatching. While it won’t kill the bugs themselves, it can coat the leaves and stems of plants and make them much less palatable to the potato bugs. 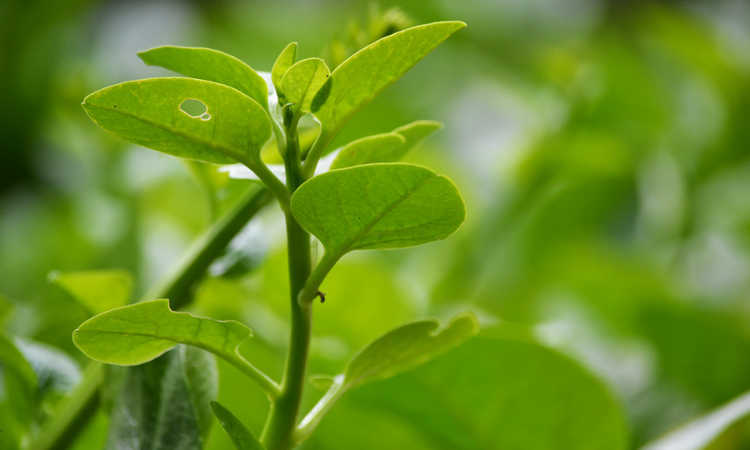 Plus, neem oil is really useful in other ways for your garden, as it can act as a form of fertilizer and can help keep a wide variety of other insects at bay! Q: Do Trichogramma wasps eat potato bugs or their larvae? A: While Trichogramma wasps are really effective against most species of caterpillar, they aren’t as good against things such as potato bugs. Beetles are not the wasps’ favorite foodstuff! However, they can be beneficial in that they can help to eradicate pests that other beneficial insects such as lacewings might find as an alternate food source. If you use the wasps to combat your cabbage loopers or cabbage worms, for instance, your lacewings will probably be more inclined to eat the potato bugs instead. So they’re great as part of an overall beneficial insect program, but they won’t go after the potato bugs themselves. Q: Are potato bugs also called pill bugs? A: Nope! Pill bugs are actually a form of woodlice, part of the Armadillidiidae family. Pill bugs can actually be quite beneficial in your garden. 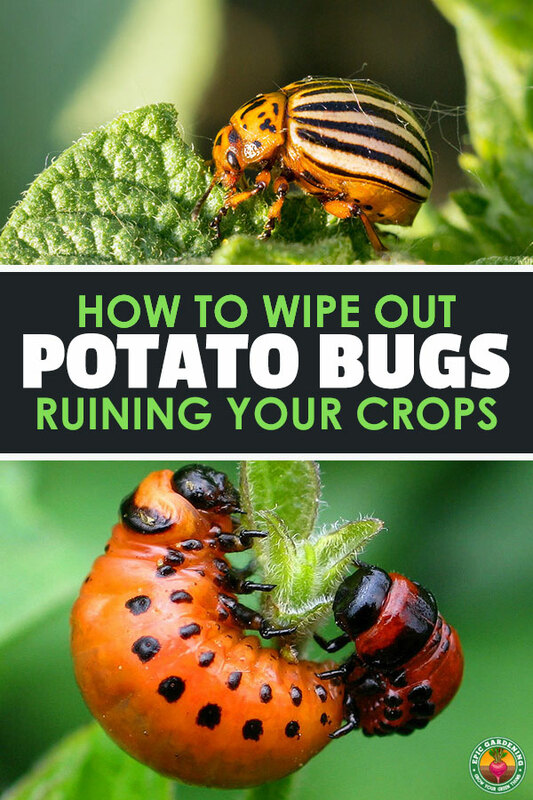 But they’re not potato bugs, and won’t demolish your plants like potato bugs will! Hopefully, you now know everything you’ll ever need to know about how to wipe out the Colorado potato beetle. This “Cold War menace” is still a menace today… but you should be able to get rid of them with one of the above methods. Do you have preferred ways of getting rid of the potato bugs in your garden that I haven’t mentioned? Share them with everyone in the comments!